This charming, restored stone cottage is tastefully decorated, whilst retaining many original features. The private south facing terrace is equipped with umbrella, garden table and chairs for ‘al fresco’ dining or BBQs. Adjacent to the terrace is a grass area shaded by four large plane trees (Les Platanes). There are views of the surrounding park, pool area and fields beyond. The open plan kitchen/dining/living area has exposed stone walls and beams and is comfortably furnished with two sofas and a wood burning stove. The kitchen is well equipped with dishwasher, hob, combination oven/microwave, fridge and an extendable dining table. 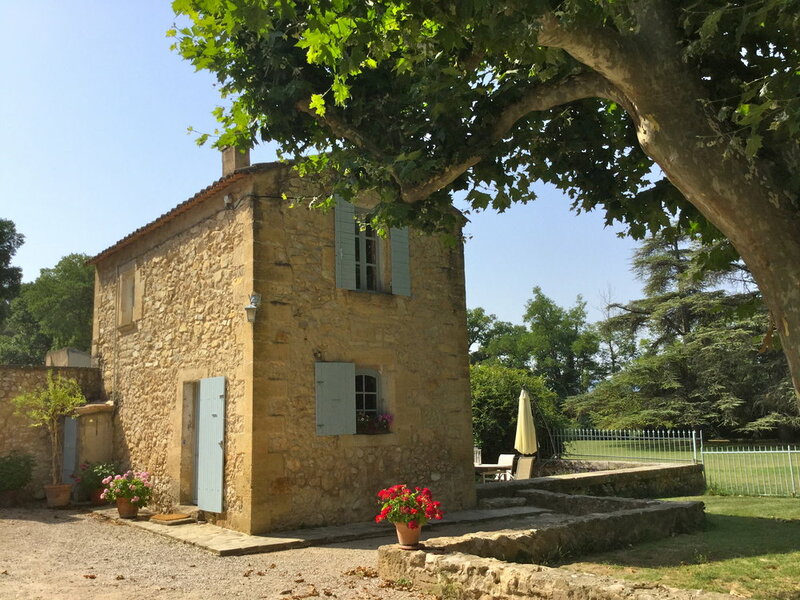 The two bedrooms, one double, one twin, are decorated in a Provencal style with comfortable beds and good quality bed linen, both have built in cupboards. 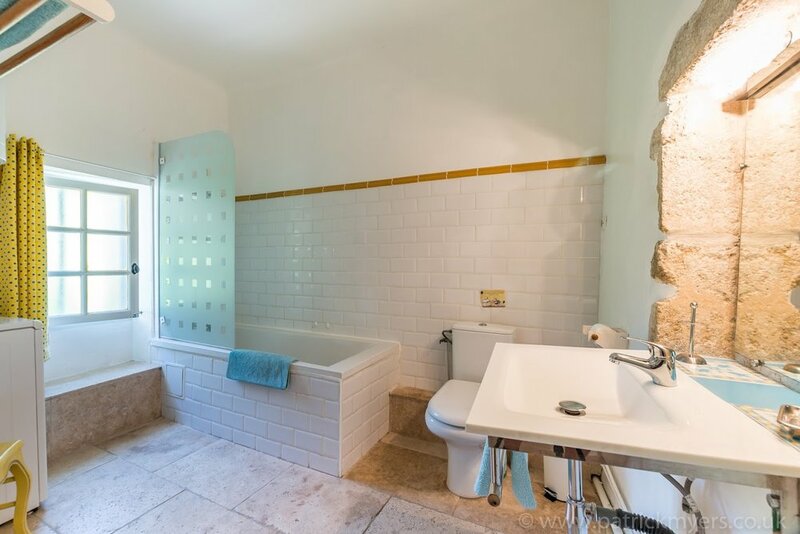 The light airy bathroom has a bath with shower attachment, basin, w.c. and washing machine. Large, sumptuous towels are provided. Parking adjacent to house.